Wellness Wednesday–Health Walks for Fitness & Fun – Naturally L.A. 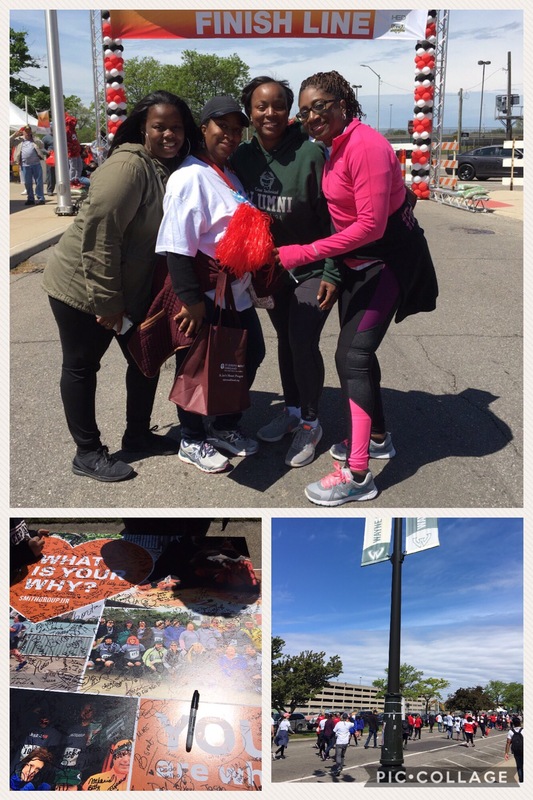 This past Saturday was the Detroit Heart Walk sponsored by the American Heart Association. As the chair of a Health Awareness committee through an Employee Resource Group of the company I work for, I created a team for the event. I must say, it was a struggle getting to the event as I partied hard with my sorority sisters the night before ( no drinking involved but lots of dancing), but I was so glad I did. Fond memories of yearly participation in such walks as Making Strides Against Breast Cancer, Sister Strut ( breast cancer), March of Dimes (for premature babies) came flooding back. Why did I stop participating, I can’t really say. Between my job and sorority, there’s always a team I can join. Even if there isn’t a team, I can always go solo. I’m sure to run into someone I know right when I’m ready to play some music through my earbuds. Health walks are great way to support worthy causes and get in a lot of steps. The heart walk yielded me approximately 5k steps at 3 miles. By the end of the day I hit my daily goal of 12k steps. If I didn’t have to pick my son up from camp on Sunday, I would have gone to the Kidney Foundation walk at the Detroit Zoo. I keep missing walking opportunities there. I must take advantage while I live so close (3 miles away). These events are a lot of fun too. Sponsors provide bouncy houses for kids, face-painting, and other activities. 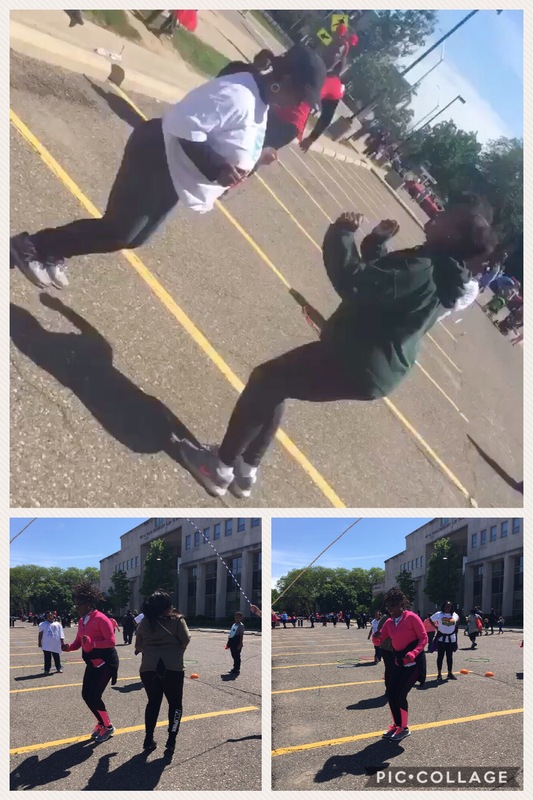 At this walk I was super excited to get my jump rope on with my team. Had I arrived at my intended time, an hour before the walk was to begin, I could have participated in Bowkwa and/or Yoga, too. Activity coordinators do a great job making the event fun-filled for the whole family. This was my first time leading a team and I did not do as well as I could have 😞. I met my individual goal of $100 and was $15 short of my team goal of $200. Considering I didn’t really solicit donations until the final hour, I won’t beat myself up too bad. But imagine how much I could have raised if I’d been diligent from the start six months ago. I won’t make that mistake again. I plan to soak up some summer sun with more walks for health causes but I’m saving my next fundraiser endeavor for a cause newly dear to my heart, lung disease. The Lung Association sponsors a walk called Lung Force. It’ll take place in my hometown of Detroit in October 2017. Hmm, that’s actually not that far away from a fundraising perspective. I better get busy, huh? What health walks do you support and why? I’d love to hear.